Most of us will need to apply for a loan at some point of time. The reason can be anything like going for an expensive vacation, buying the latest gadgets, education expenses, wedding in the family and many more. A personal loan is the best suitable to meet all these needs easily. Here are a few suggestions that a help you get the best deal on a personal loan. Check your credit ratings: The credit score or credit rating plays an important part in your request for a personal loan. The rate of interest offered to you or whether you will be able to get a loan or not depends upon your past credit history. If the lender finds you a high risk borrower, then it is likely that you will get a high rate of interest. Therefore, it is important to check the credit rating for getting a cheap loan. Look at the interest rates: Interest rate is the crucial factor that determines that how much you have to pay for borrowing a sum. 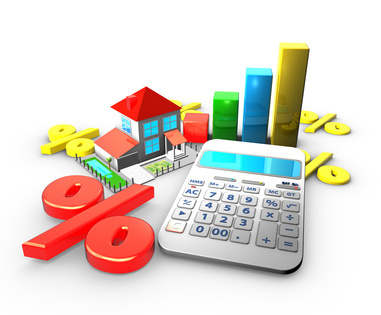 The interest rates offered on a personal loan can be fixed or variable. In case of fixed interest rates, the rates remain fixed for the entire period of loan, and it fluctuates in case of variable interest rates. You need to identify that which interest plan suits your needs. Shop Around: when applying for a loan, it is important to compare the deals in the market and find the right one. When you compare deals, look at the top ten loan schemes available in the market, Consider all the factors like interest rates, processing fees, hidden charges, foreclosure penalties and much more. You should also check the eligibility criteria to ensure that you are eligible for the loan. Take the term into account: An important feature of your loan is the time you are given to pay it off which is known as the tenure of the loan. You will be a need to be aware that the long term means more expensive your loan will be. On the other hand if you make lesser payments they will be easier to manage, but the tenure of the loan will be longer, and so more interest will be added overall.